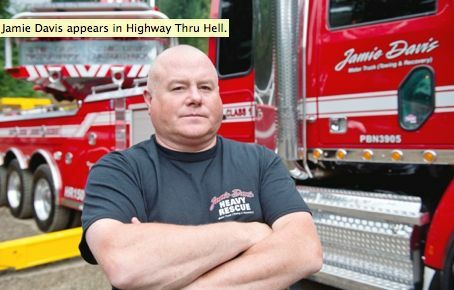 plus NEW unseen bonus episode –Discovery will ride again with Jamie Davis and his Heavy Rescue crew, as the channel commits to a second season of the original Canadian series, HIGHWAY THRU HELL. The mega-hit series, produced for Discovery by Vancouver’s Great Pacific TV, followed the highway heroes on Davis’ Heavy Rescue crew as they were called to to help truckers in trouble and keep B.C.’s vital transport highway, the Coquilhalla, open during the treacherous 2011-2012 winter season. To the delight of fans, the Season 2 announcement was made last night during the live chat on Twitter as the season was capped with a round-table companion special, HIGHWAY THRU HELL: AFTER THE CRASH. Season 2 will be filmed on “the Coq” during the 2012-2013 winter season and will continue to follow and capture the gripping experiences of Davis’ team. Jamie Davis will return to the Coqilhalla – and Discovery – with another season of highway horrors. The announcement will come as no surprise to the dedicated fans of the series. This season, viewers have climbed into the cabs alongside Jamie Davis and his heavy rescue crew in British Columbia’s Cascade Mountains. Riding along, they have experienced the steep hills, lethal drop-offs, killer rockslides, and brutal weather that characterizes the mountain passes east of Vancouver, known as the Highway Thru Hell. These are some of the most economically important, most travelled – and most inhospitable – trucking routes in North America. Plagued by winter storms, truckers spin out and smash up, and during the worst, the big wrecks can come as often as every 12 hours. In a place where closure is not an option, the call goes out for heavy rescue, and the big trucks must roll. And with another winter season just around the corner, there is no shortage of new stories – both harrowing and heroic – on the Coquilhalla Highway. A monster hit with critics and viewers alike – HIGHWAY THRU HELL performed extremely well during its inaugural season. The September 4 premiere episode drew 661,000 viewers 2+, making it the highest-rated series premiere in Discovery’s history. Even during the competitive fall TV season, the series maintained momentum and averaged more than 611,000 viewers 2+ every Tuesday night throughout the eight-week run. Still clamoring for more stories from the Coq, preliminary audience numbers for last night’s HIGHWAY THRU HELL: AFTER THE CRASH special reveals that it was the #1 specialty program for Adults 25-54. HIGHWAY THRU HELL was a hit on social media early on, generating conversation throughout the season on both Twitter and Facebook. On Twitter, @DiscoveryCanada and @HWYThruHell chatted with fans about the series, contributing to the more than 1,700 tweets using the hashtag #HwyThruHell. On-air snipes directing users to join the conversation during last night’s AFTER THE CRASH special generated more than 950 Twitter posts about the series, plus close to 300 “likes” and comments on Discovery’s Facebook page in a single evening. This type of activity is unprecedented for a Discovery Canada series, and signals growth in the network’s co-viewing audience. It’s not too late for viewers to get caught up on HIGHWAY THRU HELL. Discovery announced today plans for a 10-hour marathon, airing Tues., Dec. 25 beginning at 2 p.m. ET/11 a.m. PT. The marathon includes the full eight-part series, the AFTER THE CRASH special, plus a bonus never-seen-before new episode (at 8 p.m. ET/5 p.m. PT). The world is just awesome! With compelling real-life programming that inspires and entertains, Discovery reveals the world in all its wonder, diversity and amazement. Discovery offers a signature mix of adrenaline-charged stories, larger-than-life personalities and vivid imagery for viewers with curious minds. With the best non-fiction programming from Canada and around the world, Discovery captures the excitement of a passion for life – one lived fully and at its most extreme. With exceptional and immersive storytelling, the channel offers in-depth, behind-the-scenes glimpses at the extraordinary people and places that shape our world. Launched in Canada in 1995, Discovery is now available in more than eight million Canadian homes. Discovery is offered in standard definition (SD) and high definition (HD) simulcast – for viewers who want an even bigger and bolder experience. Discovery Canada is a joint venture between Bell Media, which is owned by BCE Inc. (TSX, NYSE: BCE), Canada’s largest communications company, and Discovery Communications Inc. Find more information and interactive online features at discoverychannel.ca. This entry was posted in Highway Thru Hell and tagged Adam Gazzola, Brandon Kodallas, Discovery Channel, Highway Thru Hell, Jamie Davis, Kevin Ritchie, Lesley Diana, The Promotion People on November 6, 2012 by press. Goldstein Douglas Entertainment is adding another top-level entertainment project to its roster, with its recent acquisition of the rights to distribute the film “Shame on Shelley Bennett”, starring the popular comic of the same name. 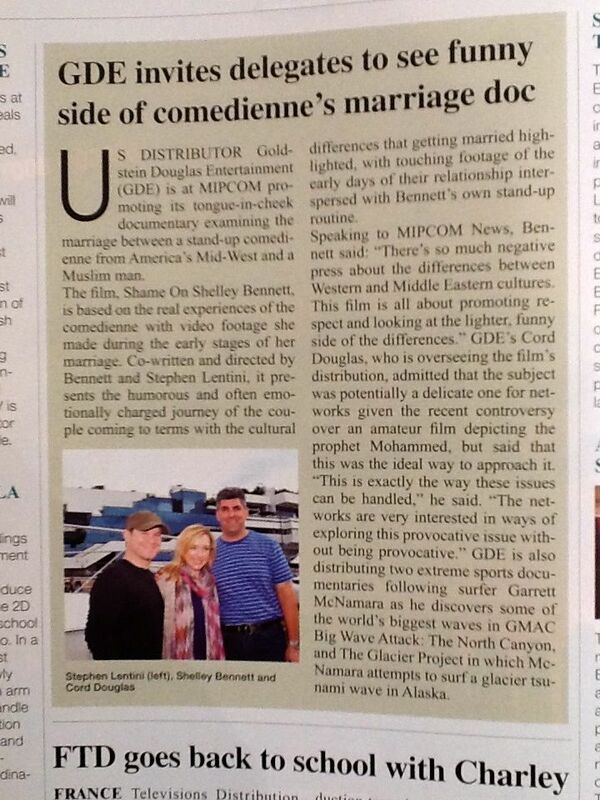 Goldstein Douglas Entertainment will be representing the film at MIPCOM in Cannes from October 5-10, 2012. The Midwest meets the Middle East in “Shame on Shelley Bennett”, a feature length documentary starring actor/comedian Shelley Bennett. The film is an honest and funny portrayal of Shelley’s journey as an American girl who falls for a Muslim man. Now, after getting married to Mohamed, she must face her own misconceptions and fears of Islam. Shelley quickly immerses herself into a new culture and religion by participating in 30 days of Ramadan, and travels the world while creating a poignant dialogue through her stand-up comedy. Throughout her trials and tribulations, she is called an “ignorant American” and finds herself in the Middle East getting interviewed by Al Jazeera. Finally, she grows to respect a culture and religion that she may never completely understand, while dealing with the harsh realities of an inter-faith marriage. Is love enough to bridge the gap between the West and the East or will their relationship bomb? The timely, political film also stars renowned comedian and actor Maz Jobrani. Shelley Bennett is an American actress, comedian, writer, and producer. She grew up in Southern Indiana and moved to New York after college. She has come a long way since her beginnings off-broadway and first television role, playing “Vivian Goodmanson” on “As the World Turns”. Shortly thereafter she moved to Los Angeles and has worked in TV and film starring opposite Emmy nominee Kaley Cuoco (Big Bang Theory) as well as Stacy Keach. She has done voice over work for Disney and has also performed as a stand-up comic all over Los Angeles including the Comedy Store. Just before the Arab Spring in Egypt, Shelley served as a film juror for the 19th Cairo International Film Festival for Children. Also a part of the “Shame on Shelley Bennett” team is established Writer/Producer/Director Stephen Lentini. 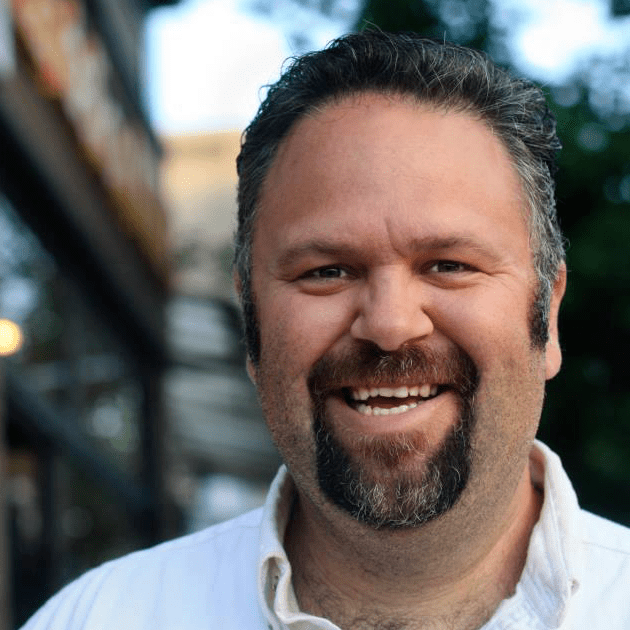 He has worked for the past 14 years in TV and film production, programming and branding for such networks FOX, NBC, MTV, VH-1, FUEL TV, Fox Sports Net, Fox Reality Channel, USA Networks, Spike TV, Discovery Channel, Court TV, TLC, Showtime and Lifetime. He has also written and produced other dynamic documentaries, including, “GMAC Big Wave Attack: The North Canyon” and “The Glacier Project”. Scripted feature film credits include, “Machine Head” and “Beware”. This entry was posted in Shame on Shelley Bennett and tagged Canada, Court TV, Discovery Channel, feature film, FOX, Fox Reality Channel, Fox Sports Net, FUEL TV, Goldstein Douglas Entertainment, Lesley Diana, Lifetime, MIPCOM, MTV, NBC, Shame on Shelley Bennett, Showtime, Spike TV, The Promotion People, TLC, USA Networks, Vancouver, VH-1 on October 9, 2012 by press. 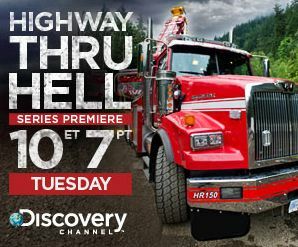 Highway Thru Hell, an original Canadian series, premiers Tuesday, September 4 on Discovery Channel! The eight-part series shows REAL footage from the Coquihalla highway; a notorious dangerous highway located in the mountains of British Columbia. The unpredictable winter weather of the Coquihalla highway causes trecherous accidents every year, leaving the heavy rescue crew to save the day. Being named ‘Heroes of the highway’, Jamie Davis, Adam Gazzola, Kevin Ritchie and Brandon Kodallas have proven to do phenomenal work clearing up truck wrecks caused by blizzards coming in from the west coast. On “Highway Thru Hell” viewers will follow days and nights in the life of Jamie Davis and his emergency towing company. For more information on the series visit discoverychannel.ca. This entry was posted in Highway Thru Hell and tagged Adam Gazzola, Brandon Kodallas, Discovery Channel, Highway Thru Hell, Jamie Davis, Kevin Ritchie, Lesley Diana, The Promotion People on September 3, 2012 by press.